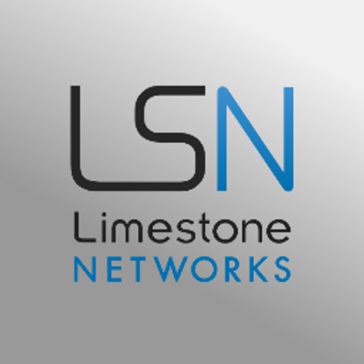 The Limestone Networks have a very easy way to rent servers combined with very efficient support. Every problem reported to support was resolved in a quickly. Sometimes I needed to add a new hard disk ou a new server and everything was fast. Twice I had situations that in my opinion could be avoided. In this case, the power cord was disconnected and it makes my server down... In this situation, my company be very angry. I think that it's could happen with everyone, but could be avoided. If you need to a dedicated server and need to have a quick and easy solution, this is and a good and cheap solution. We have a lot of projects and a company in international expansion, so we can't predict when we will need another server and to buy one are expansive and take some time. The Limestone was great because quickly we could have a brand new server ready to be used. * We monitor all Limestone Networks reviews to prevent fraudulent reviews and keep review quality high. We do not post reviews by company employees or direct competitors. Validated reviews require the user to submit a screenshot of the product containing their user ID, in order to verify a user is an actual user of the product. Hi there! Are you looking to implement a solution like Limestone Networks?